Your perfect Christmas starts right here! 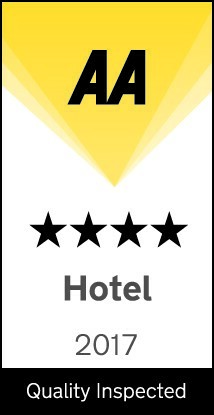 Whether you’re visiting Great Yarmouth for a holiday, a short break or an overnight business trip, the staff at the 4 Star Prom Hotel will make you very welcome. 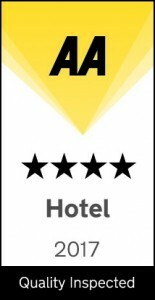 We have 50 comfortable bedrooms – many with views of the beach and Great Yarmouth’s famous Golden Mile – a spacious public bar serving food all day, a stylish restaurant which has just been awarded an AA Rosette, a lift to all main floors, a dedicated breakfast room and free wifi throughout the hotel. Our leased car park is situated just outside the hotel in front of the Hollywood Cinema. Car parking is available to all residents and customers of the hotel, bar and restaurants (a small charge may apply). We are very lucky to have a great position on the seafront. As the seafront can become very busy, our front facing sea view rooms can be a little noisier than the side or rear rooms. All our sea view rooms have double glazing though to help with any adverse noise from our surroundings. But our superb facilities are just part of the story. We also have incredibly friendly staff, who will help to make your stay a truly memorable one. Enjoy a 2 night stay in a standard bedroom with a 3 course dinner in our beautiful Strollers Restaurant on one night of your choice for just £90.00 per person including breakfast each morning. Offer only available by calling the hotel reception team directly. Subject to availability. Strollers Restaurant may be fully booked on certain nights – please enquire at time of booking. Available from 1st October 2018 until the end of March 2019. This offer is based on 2 people sharing and is not available to single travellers. Each month we will be holding a ladies lunch which includes a 2 course meal & speaker. Please enquire for current vacancies, particularly if you intend to visit Great Yarmouth in the main holiday season from Easter to September. You may contact us by using the contact page, post, telephone, email or you can use our Online Booking System. For the best deals book direct.